When looking for school coach hire the primary concern must be safety. 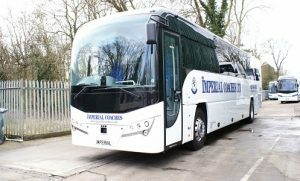 Imperial Coaches prides itself on being dependable and trustworthy, giving parents and schools the reassurance that their children are in safe hands whether travelling with us in the UK or abroad. 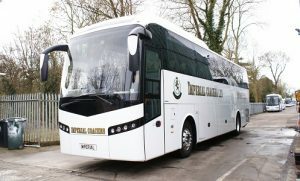 The Company joined Busk Simply Safe because it is the first and only scheme that finally allows schools to see at a glance those coach companies that operate to high standards and where the legal and safety requirements are met. and trained in driving in the UK and abroad. BUSK works to promote safe child road transport throughout the UK and specialises in all aspects of home to school transport, school trips in the UK and school visits abroad. If you want to hire transport from companies listed on BUSK, you can have confidence that BUSK will have back ground checked them for safety and legal compliance first. We are 6 star members that are recognised by BUSK – we meet all their needs for child safety and comply with transport regulations.